From H&M Nigeria is this magical song (Music Has Gone Corporate). This song (Music Has Gone Corporate) is produced by EL EMCEE. The song features maythronomy, el emcee and sensational singer bizzie. 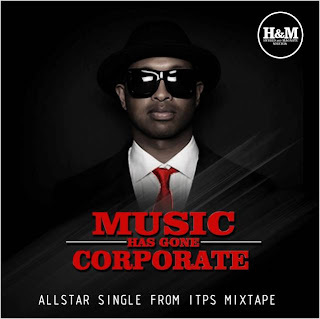 This song is release under H&M Nigeria (www.handm.com.ng) as the first single of the coming forth Mix-Album (ITPS – Initiate The Play Sequence) due for release in may 2012. FOLLOW INEC UPDATES ON BLACKBERRY. 10 MOST INFLUENTIAL YOUNG NIGERIAN TODAY.